The Heart chakra is located directly in the center of all the other chakras, and acts as the center point, where heaven meets earth. It is the seat of your soul. It is in the heart that we process all of our feelings; it is where we choose to forgive ourselves and others, and process feelings of betrayal and hurt. · Forgiveness of self and others. · Letting go of the past. · Learning to give and receive love equally. · Loving oneself and others unconditionally. · Compassion and Self Acceptance. · Do you need to forgive yourself or others? · Do you have any relationships, past or present, that need healing? · Do your emotional wounds make you try to control others or situations? · Do the emotional wounds of others overly concern you? · Do you have emotional memories that need healing? · Do you need approval before you like yourself? · Do you focus on pleasing and helping others? · Do you manipulate people? · Does helping others bolster your self esteem? · Are your dreams of the future linked to other people? · Does your fear of rejection dictate what you say and do? · Do you go out of your way to “give” in a relationship in order to feel safe? 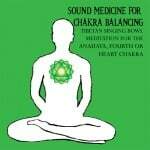 Balancing your heart chakra can make a world of difference in how you perceive and live your life, and binaural beat brainwave entrainment can target the frequency that will open your heart chakra, so you can clear the energy and bring yourself back in balance. 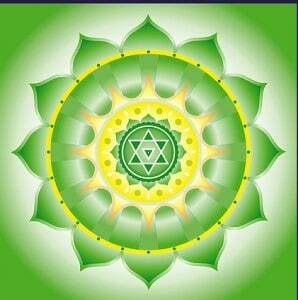 The Heart Chakra is the center for unconditional love, compassion, empathy, forgiveness and tolerance. The Heart is the seat of the Soul. The Anahata nurtures life lessons of love and compassion, self acceptance and confidence, hope and inspiration, and generosity. On the flip side, hate, fear, envy, anger and despair reflect an imbalance of the Heart Chakra. The purpose of the Anahata includes maintaining the connections and ties to those we love. Heart Chakra imbalance may be felt as difficult relationships, living through others, depending on others for your happiness, and a lack of self discipline. It is directly connected to the Astral layer of the aura. It is the bridge, or melting pot, between the lower/denser energies of our body Chakras, and the higher/lighter energies of the higher Chakras. The Heart Chakra color is green, and the secondary color is pink. It is seated deep within your heart. Pretty Heart Chakra Gemstones like rose quartz, green quartz, emeralds, green, pink and watermelon tourmaline, malachite, jade, aventurine, ruby zoisite, moss agate, peridot, and pink saphire are used for harmonizing the Heart. Among the flower essences and essential oils used for Fourth Chakra balancing are rose, rosewood, jasmine, holly, poppy, bergamot, melissa, pine and eucalyptus. A harmonizing and healing Solfeggio frequency of 639 Hz, delivered through headphones and Alpha Level Binaural Beats is perhaps the quickest way to heal a broken heart. 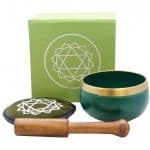 Harmonizing Chakra healing traditions with sound healing science, this program focuses exclusively features Tibetan Singing Bowls attuned to the Fourth Chakra, and the Binaural Beats using a healing Solfeggio frequency of 639 Hz. The program follows the Earth Resonance frequencies, to a low of 7.83 Hz (Shumann Resonance) and ends at an Earth Resonance frequency of 14.1 Hz. This deeply relaxing and Heart Chakra balancing meditation will not only harmonize your Heart Chakra, it will also help harmonize you to the heart beat of our Mother Earth. 27 Minute Binaural Beat Heart Chakra MP3 and 8 minute MP4 video with Paay Pal for desktop. The 4th Chakra download package includes an MP3 and MP4 and a 9 page eBook with complete information all about the Chakras. Our automatic download system will redirect you immediately to a download page, and also send you an e-mail with download instructions. If you don’t see the e-mail, check your spam filter. If you like this video, you can download it for just $2.95. Includes a 9 page booklet about all the chakras. Download only, not for streaming. like the Camel, or “Ushrasana”, can help you to open and balance the Anahata, as well as maintain a youthful and vibrant flexiblity.